If you are eagerly awaiting a villa rental holiday in Orlando this summer you are in for an all-improved holiday of a lifetime! 2014 is set to be an truly amazing year for Florida's theme parks and a villa rental holiday is the perfect way to enjoy all of the weird and wonderful adventures that await you! New rides, revamped “lands” opening and new entertainment areas are just some of the treats waiting for holiday-goers this year. Universal Orlando are due to unveil their new, out-of-this-world Harry Potter attraction, while Disney World's Magic Kingdom will finish its much anticipated Fantasyland expansion and Busch Gardens will launch its incredible new thrill ride this spring. There's never been a better time to enjoy a villa rental holiday in Orlando! It seems as though there has been a knock-on effect with all of the parks boosting their visitor attraction potential this year. 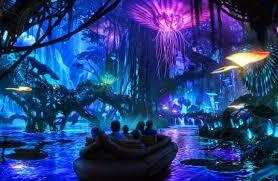 Animal Kingdom are jumping on the improvement bandwagon as well with plans for an Avatar themed land set to open in the park sometime in 2017. The new area will see flying banshees, floating mountains and interactive plants that glow at night. We are so excited that Orlando continues to thrive and grow as a major tourist hub for Florida and the US. Our villa rental customers that have vacations booked in Orlando for 2014 and beyond are in for an all new, improved Floridian experience. Down at Tampa Bay, the genius master-minds behind some of Orlando's greatest thrill rides at Busch Gardens have been busy working on Falcon’s Fury, a 335- foot drop tower on which riders will plunge face-down at speeds up to 60 mph. We can't wait to try this one out when it officially opens on May 1st this year. The ride is in the former Timbuktu area, which is being remodeled as the land of Pantopia, with new shops and eateries for you to take a look at once the G-force has got too much! Around the same time — an official start date hasn’t been announced yet — Disney will open the last piece of the Fantasyland expansion: the Seven Dwarfs Mine Train roller coaster. The ride will feature ore cars mounted in cradle-like pivots that will swing from side to side. Magic Kingdom have said that they hope the new ride will be completed by the end of the month, when a media preview is scheduled. We'll keep you posted! Orlando's water park's aren't going without their make-overs either. Sea World's Aquatica now boasts a series of brand new slides called Ihu’s Breakaway Falls. You will need nerves of steel for this attraction which sees riders stepping into one of three clear “breakaway boxes” nearly 80 feet above the water. One by one, in random order, the floor under each box will drop away, sending riders along an almost vertical drop for nearly 40 feet. This crazy slide is scheduled to open to the public on May 9th, so book tickets fast as they are sure to sell out fast. Be sure to check out the video before you drop by! With all these new rides and attractions we just don't know where to start! For thrill-seekers, Orlando is really the ultimate villa rental holiday location for anybody looking for a vacation that is anything but boring. Our villa rentals in Orlando really are the perfect place to relax after a full on day of fun, adrenaline and plenty of white-knuckle advenutre! 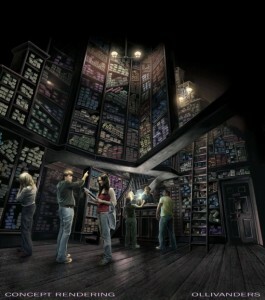 Perhaps the most eagerly awaited attraction is Diagon Alley, the new Harry Potter area at Universal Studios, where a thrill ride based on Gringotts bank is under construction. The original Harry Potter area with Hogwarts & Hogsmeade will remain open at sister park Islands of Adventure, although you will need a two park ticket to ride The Hogwarts Express to enjoy both sides of the Harry Potter Experience across the two parks. 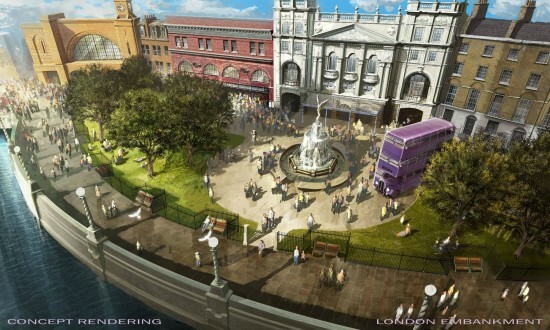 The Harry Potter area at Universal Studios is due to open this summer and will allow guests to explore Diagon Alley, complete with Ollivander's wand shop and the exciting new Gringotts bank ride. It has now been confirmed that the ride will be called Harry Potter and The Escape From Gringotts. 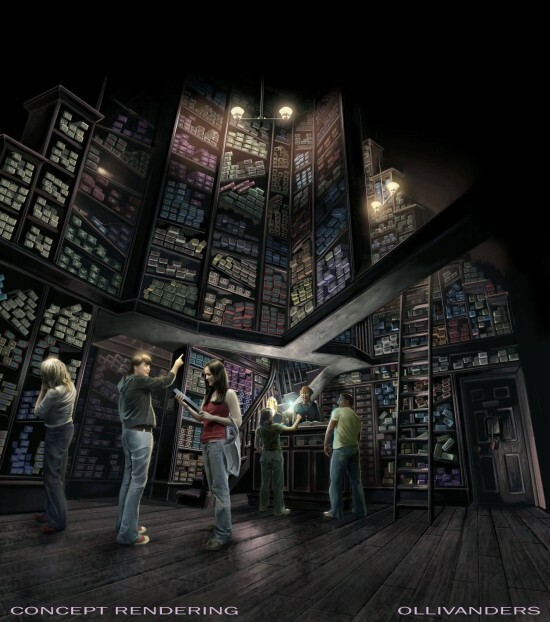 Universal are keeping the magic and mystery under wraps but it has been said that the attraction will be a “multi-sensory, multi-dimensional journey." A specific opening date has not yet been announced so be sure to keep checking back to the Villa In Orlando blog for up to date news. For all of your villa rental in Orlando questions, queries and quotes - give us a call or drop us an email anytime you like!